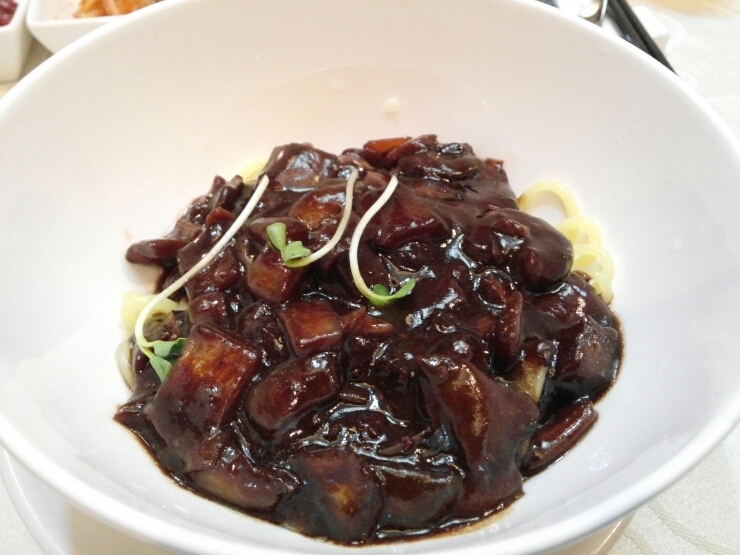 One of the most popular and delicious dishes in Korea is Jjajangmyun (or noodles in black bean sauce). It is a very convenient and easy dish that can be ordered by delivery straight to your home, but today we wanted to introduce the top 5 most delicious jjajangmyun restaurants in Seoul! A recent news article ranked and categorized these restaurants as the best in Seoul! They pride themselves in high quality jjajangmyun and do not offer delivery services. Run and operated by two brothers over the last thirty years, Luii prides itself not on variety but high quality and authentic dishes! 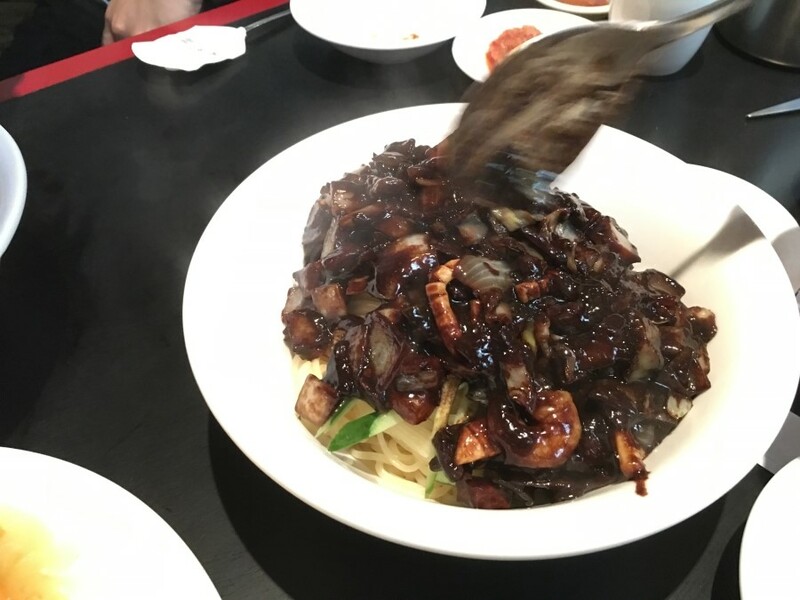 Whilst many Korean-Chinese restaurants have more than one type of jjajangmyeon, at Luii they only have the Samseong Jjajangmyun on the menu! The restaurant also prides itself on high quality service, due to their prior experience in the hotel industry. Their signature dish is the Samsung Jjajangmyeon (7,500 won), Sweet and Sour pork (19,000 won). They also offer lunch courses from 29,000 won and diner courses from 35,000 won. Check out their online menu here! Located in Myeongdong and so a great pitstop for our readers who are planning a great day of shopping, it is run be the second generation of the same family who established it over 30 years ago! Their signature dish is Jjajangmyeon (5,000 won), but they also have other types of jjajangmyeon from 6,000 to 8,000 won. Sweet and Sour Pork is 20,000 won. This restaurant is located in the heart of Korea’s luxury district of Apgujeong and Cheongdamdong! With distinctive red architecture that has gained renown in Korea, the food comes highly recommended! 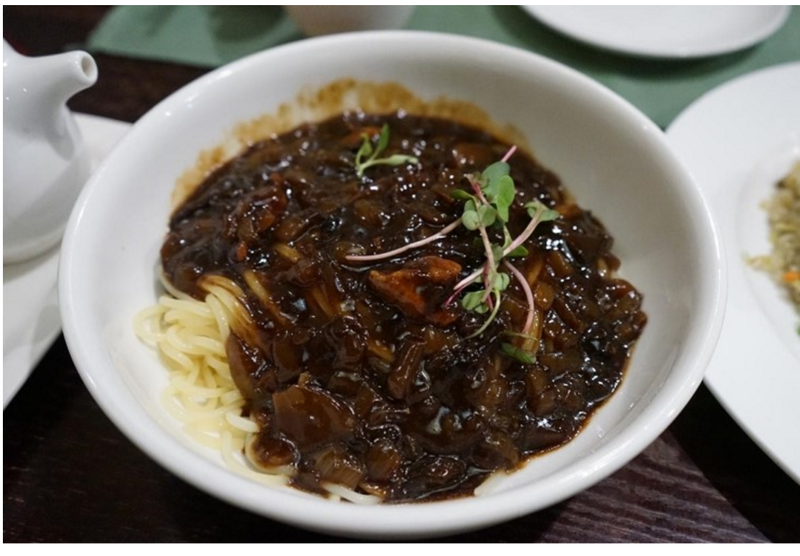 Their jjajangmyeon is considered to have the best springiness in the noodle and depth int he sauce that is comparable to other restaurants! Their signature dish is their Jjajangmyeon (9,900 won), and sweet and sour pork starts from 27,500 for the small size and 38,500 for the large size. Located near Apgujeong station, it gets very crowded during the peak lunch and dinner hours, so be prepared! It is better to make reservations here (just in case). 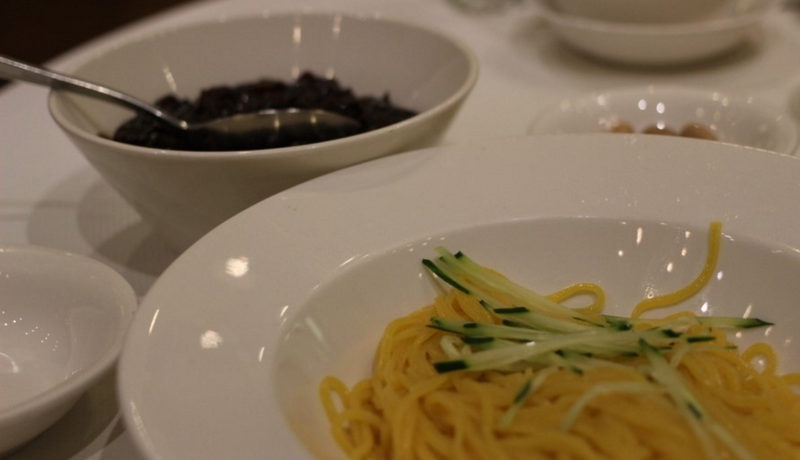 The Jjajangmyeon has thick and chewy noodles and delicious vegetables, and isn’t too oily or too savory! They also have a unique and spicy dish called “Water Jjajang” that is very popular with Koreans! Their signature dish is Jjajangmyeon (5,500 won), but also Water Jjajang (6,000 won). Last but not least, Geollibyu! Located in Yeonhuidong, famous for their restaurants, there are a lot of Korean-Chinese restaurants in this neighborhood, but this is said to be the best! With 5 different varieties of our favorite black bean noodle dish, it is a must try restaurant during your trip in Seoul! 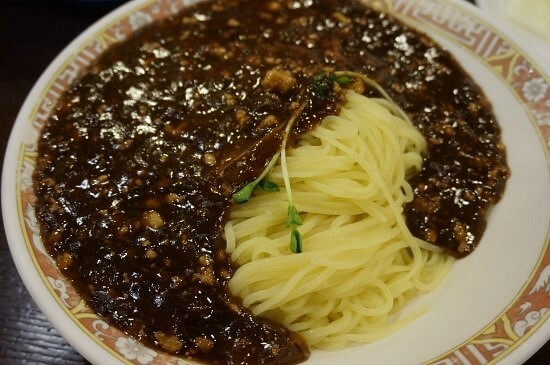 Signature dish jjajangmyeon is available at a very affordable price of 4,500 won!